An article by Ben Hoyle in the Times/News Syndication - A burger that could save the world - reports that global meat consumption is soaring, and with it, environmental destruction and the threat of serious food insecurity. Now, a former professor of biochemistry has invented a burger that might just reverse the trend. The Impossible burger: a 'technology platform' that will change the way we eat. Image: Times/News Syndication. Homo erectus, meaning 'upright man' is an extinct species of hominid that lived from the end of the Pliocene epoch to the later Pleistocene, with the earliest fossil evidence dating to around 1.9 million years ago and the most recent to approximately 200,000 years ago. The species originated in Africa and migrated as far as India, China and Java. Homo erectus existed longer than any other human species. 'Turkana Boy' and 'Nariokotome Boy' are sometimes classified as Homo ergaster. Homo erectus, meaning 'upright man'. Homo erectus appeared almost 2 million years ago at a time when the global climate changed, making Africa drier and more open. This suited Homo erectus, who was agile; the feet were arched for walking and running. Eyes could be trained on a distant target due to the balance provided by the vestibulocochlear apparatus - an organ of balance and movement change, a new anatomical feature similar to that of modern humans. Homo erectus had little body hair which meant it could shed heat and be active throughout the course of the day. This may have heralded a change from scavenger to hunter. Homo erectus had a smaller gut and smaller teeth than its predecessors, suggesting a better diet. Moreover, there is evidence to suggest the use of fire to cook food. This would produce a higher-energy diet, reallocating calories, and encouraging brain growth. This also signified a new form of control - of circumstance and environment; fire could be used cooking, scaring away animals and for warmth. An estimated 30%-45% of the world's ice-free land mass is now taken up with feeding and raising domestic animals and livestock (tasks that also provide income for 1.3 billion people). That's because, while vegetarianism might be increasing among FirstWorld millennials, the global trend is in the opposite direction. As rising incomes lift more people in the Developing World into the middle class, demand for meat is increasing at a formidable rate. Meat production has quadrupled in the past five decades, according to the United Nations Food and Agriculture Organisation, and is projected to grow by 60%-70% over the next 30 years. It is not hard to see how this could provoke a major sustainability crisis. Sara Menker, a former Wall Street commodities broker who now works with governments and businesses on food-supply problems, says that the "tipping point in global food and agriculture" may be only ten years away. "At that point, supply can no longer keep up with demand despite exploding food prices. People may starve. Governments may fall." This is the crisis that the Impossible Burger was invented to solve. Pat Brown, the founder and chief executive of Impossible Foods, has not eaten meat for more than 40 years. Why did he give it up? Because he thought it was cruel, he says after some prodding. Brown is not fussed about catering for vegetarians. Carnivores are the only people he is interested in. If they can't be convinced that his plant-based meat is actually meatier and tastier than meat from animals, then it's back to the drawing board. Before he started Impossible Foods, Brown was professor of biochemistry at Stanford University. His friend, the Nobel Prize-winning scientist Harold Varmus, later tells me that Brown is 'revered' by his scientific peers. His work on HIV, on cancer and on opening up the free publishing of scientific research has established a global reputation that will endure whatever happens with the burgers. 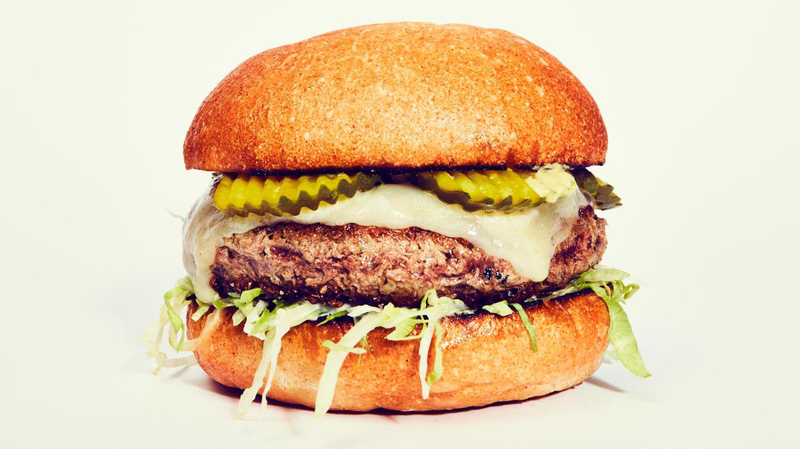 Impossible Foods sprang out of an idea that hit Brown almost a decade ago. "What I came to realise is that if I found a cure for lung cancer, it would do less good for the world than if I improved the environmental sustainability of the food system by, you know, 10%. Food insecurity in terms of overall global life expectancy and quality of life is a much bigger problem than cancer. The potential for reducing the environmental impact of the food system is humongous."